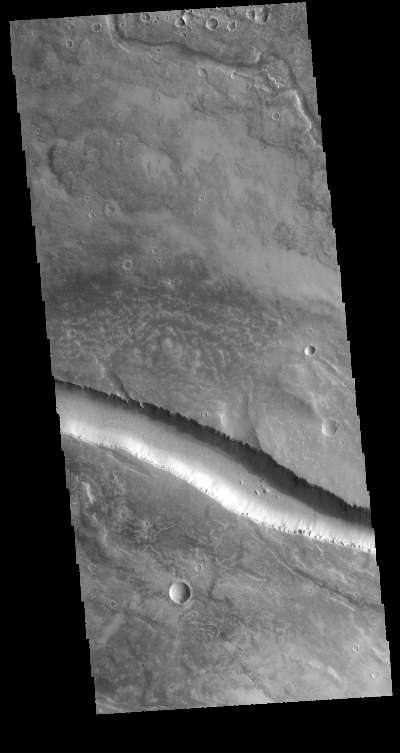 The linear feature in this VIS image is part of Granicus Valles. The linear nature, and uniform width is indicative of a fault bounded graben. The plains surrounding this feature are volcanic, and many parts of Granicus Valles appear to by channels carved by flow of a liquid (perhaps lava).